Black Lake Towing is the go-to towing service for people living in the great Olympia – Tumwater – Lacey area. We have earned a reputation for quick, friendly, and clean service that people can rely on. We’re proud to have served our local community with distinction for over 15 years, and we look forward to doing it for many more. On top of our standard towing and roadside assistance services, we also offer long distance towing to wherever in Washington you call home, and even out of state. When you are traveling to visit friends or family out of state or take your personal vehicle on a work trip, the last thing that you expect or are prepared for is a breakdown. However, as anyone who has ever experienced an overheated engine, burned up a transmission, or dropped a drive shaft while traveling, it’s just not something that you’re prepared to handle. Thankfully, the professional tow truck drivers and support team at Black Lake Towing are already here and ready to help with 24-hour towing and assistance, no matter what time of day or where you are. When you find yourself stranded far from home and need to find a way to get your vehicle back to your usual mechanic or home garage, Black Lake Towing can help. When catastrophe strikes and your vehicle leaves you stranded, your first call should be to Black Lake Towing. You can count on speaking with a member of our team no matter what time of day or night it is — we never rely on a third party call answering and dispatch service. Let us know where you are and where it is that you need a long distance tow to. Our specialist will get you a quick and reliable quote. From there, we can either send our next available tow truck to your location or you can schedule a pickup time that suits your plans and needs. 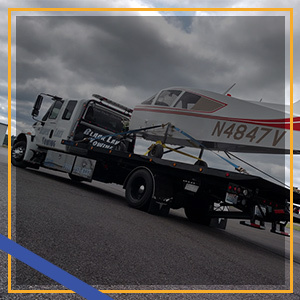 Aside from providing reliable towing for everything from sedans to two-seater aircraft, Black Lake Towing provides a clean, friendly service that you can trust. Our drivers and our tow trucks are kept in great condition as a part of our core value of providing unparalleled customer service to every client we talk to. We understand that when you have a breakdown, you have enough on your plate to worry about the condition, smell, or cleanliness of your tow truck. We work hard and use our years of industry experience to back up our commitment to give you a towing experience that allows you to stay focused on handling whatever your next step is. If you’re trying to figure out how to get your care home over a long distance or to another state, let Black Lake Towing help. Call us today for a no commitment, free quote on your service today. Let us show you the Black Lake Towing difference.